Mark McGwire previously admitted using anabolic steroids a few years ago. The admission was widely considered a precondition for his return to baseball as a batting coach. During a recent appearance on the Dan Patrick Radio Show, McGwire acknowledged that the decision to use steroids as a mistake. But at the same time, McGwire believed steroids made him a better person. In January 2010, McGwire released a statement in which he admitted using anabolic steroids and human growth hormone (hGH) during his historic pursuit of the home run record in 1998. However, McGwire claimed he only used steroids to improve his health and not to enhance his performance. Convicted steroid dealer Curtis Wenzlaff told the FBI that he provided McGwire with Winstrol Depot (stanozolol), Equipoise (boldenone undecylenate), testosterone cypionate and testosterone enanthate back in the 1990s. Jose “The Godfather of Steroids in Baseball” Canseco claimed that he started injecting McGwire with steroids in bathroom stall in Oakland as early as 1988. Even McGwire’s own brother threw him under the bus by talking about Mark’s steroid use. Former amateur bodybuilder Jay McGwire disputed Canseco’s claim to be the first to take Mark’s steroid virginity. Jay claimed he was the first to inject steroids into Mark’s system back in 1994. 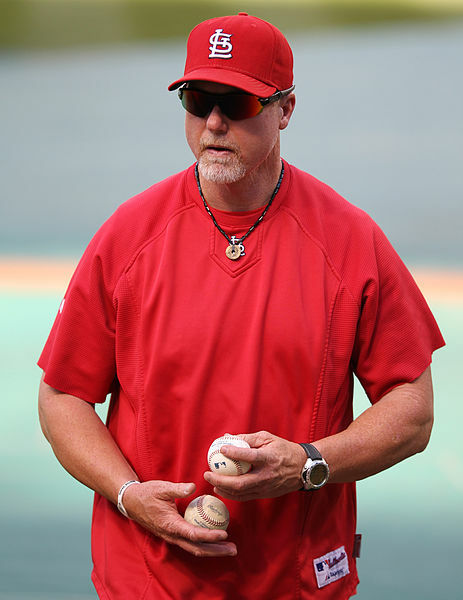 Mark McGwire refused to disclose any details regarding his history of steroid use. He did not confirm or deny any of the steroid allegations made against him by Wenzlaff, Canseco or his Jay McGwire. McGwire called his steroid use a “mistake” and a “screw up”. Consequently, McGwire doesn’t think he should ever be inducted into the Baseball Hall of Fame.